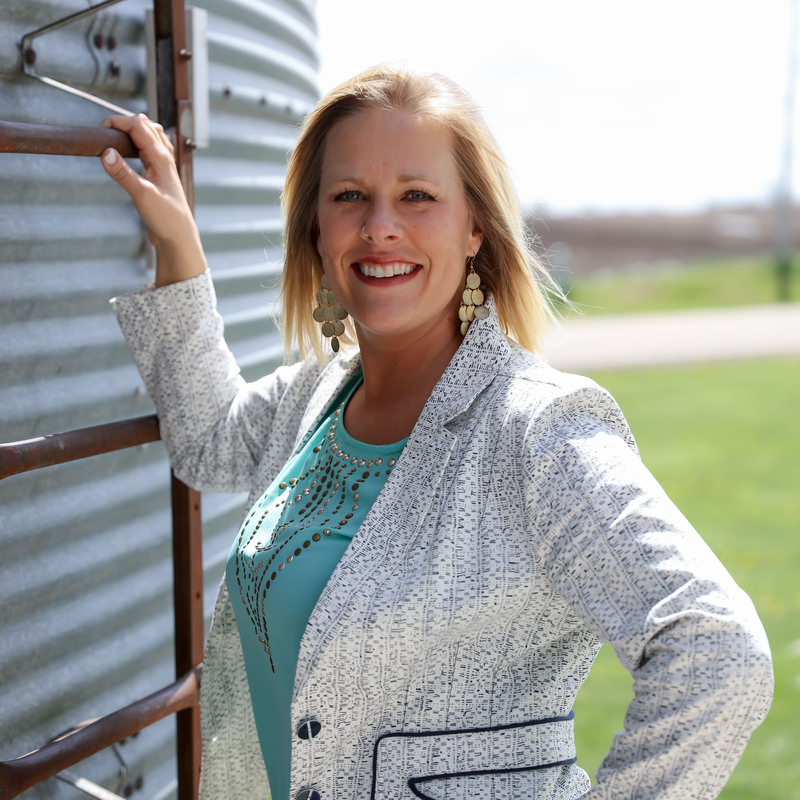 In addition to raising three children and helping out on her husband’s fourth-generation Wisconsin grain and hog farm, Jennifer owns her own crop insurance business. It’s human nature to complain about the weather. Rain can thwart our outdoor plans. Snow makes driving treacherous. A heat wave zaps one’s energy. I grew up on a small farm in Wisconsin, where winters can be harsh. But it wasn’t until I moved onto my husband’s farm four years ago that I realized just how powerful Mother Nature really is. For farmers, the weather’s a lot more than a nuisance – it can threaten our entire livelihood. In a few weeks, we’ll be planting our 2017 crops – and we’ll do so with Mother Nature in mind. When it comes to choosing seed, farmers have many options. We choose seeds designed for a shorter growing season, like what we have here in Wisconsin. Farmers down south have a longer, warmer growing season. They can get into the fields and plant while we’re still waiting for the ground to thaw. While it differs by region and climate, every farmer has a relatively short window in which to plant their seed. Typically, Mother Nature cooperates and we are able to plant our crops in early spring. But once in a while, if we have a big spring snow or heavy rainfall, we’ll miss the optimal window to plant. Like children, plants go through several growth stages before they hit maturity. They therefore require a certain amount of time to develop and mature before harvest. Plant too early, and frost and cold will kill the plant before it grows. Plant too late and it won’t mature and harvest before winter. This length of time a plant needs to grow and develop before it’s ready to harvest is known as its maturity period. If weather is extreme or widespread enough, it can also impact the prices we all pay in the grocery store. For instance, a big cold snap in Florida can kill orange blossoms, driving up the price of orange juice. I’m not only a farmer, I’m also a consumer; so such issues impact me whether or not they affect a crop that I grow on my farm. You likely have car insurance to protect you and your family in the unlikely event you have an accident. Similarly, chances are you have health insurance, in case you or a family member gets sick or injured. While you hope you never need to use these policies, they give you peace of mind and offer protection in case of circumstances beyond your control. Like you, farmers carry insurance to protect their homes, vehicles and health. Many also carry crop insurance to protect them from Mother Nature. In addition to helping on the farm and raising three children, I’m lucky to have another job that I love. I’m a crop insurance agent, which means I help farmers protect their crops – and their livelihood. There are two endorsements that help protect my farmer clients: late plant and prevent plant. As its name implies, “late plant” coverage protects farmers if they are unable to plant on time. “Prevent plant” coverage protects a farmer who is unable to plant at all. These scenarios can occur when the ground is too saturated to plant seed, for example. (If you garden, you’ve likely experienced this on a small scale.) In either case, farmers with crop insurance can receive a payment for their financial loss caused by Mother Nature. Mother Nature throws many curveballs at farmers: too little rain, too much rain, too little heat, too much heat, strong winds, hail. As you’ve seen in your home garden, plants are delicate, and every day of the growing season is critical, none more so than spring, when a plant is young. Mother Nature, and her occasional wrath, is very powerful – but thankfully, so is a farmer’s determination to grow a safe and plentiful food supply. Friday Night Lights Day in the Life of Harvest, Pers... Apples to Oranges: Why Crops Thr... Why Are Farming Moms Thankful?